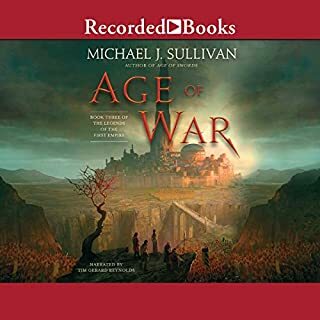 The world Michael J. Sullivan has created is quickly becoming one of my favourites. The stories are always compelling and Tim Gerard Reynolds narration is amazing. If you're a fan of other works I would definitely read this book, but I think you should probably start with Book 1. My only complaints is how some of the world building has shaped up in these novels. Particularly the inventions of bow and arrows, the wheel, etc. It's a little hokey, takes you out of the immersion, and somewhat unnecessary.